The validity of the pack is 14 days and it would seem that Idea has launched the plan to compete with similar offers from Jio, Airtel, and Vodafone. Idea Cellular has launched a prepaid pack for Rs 109 which offers unlimited local/STD and roaming calls. Along with this, the pack also includes 1 GB of 4G / 3G data and 100 local and national SMS daily. The validity of the pack is 14 days and it would seem that Idea has launched the plan to compete with similar offers from Reliance Jio, Airtel, and Vodafone. 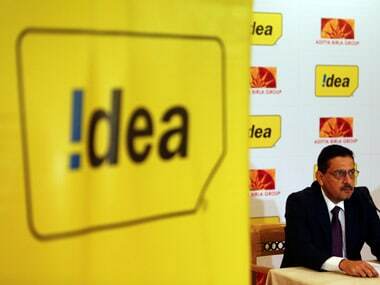 Idea is third largest telecom company. Reuters. The calls are, however, restricted to 250 minutes per day and in the whole week, you can use a maximum of 1,000 minutes. If the user extends this limit then they will be charged at 1 paisa per second for the additional usage. As for the availability, the pack is currently available for only a few telecom circles, which include Andhra Pradesh, Bihar, Telangana, Jharkhand, Haryana and Gujarat, among others. To recharge your account with this pack, go to My Idea app or to Idea's official website. In more news related to Idea, the phone launched a share sale to institutional investors to raise up to Rs 3,500 crore ($546 million) ahead of its merger with Vodafone’s Indian business. The company intends to use the funds to reduce debt, including payment of loans for airwave purchases, it said in a regulatory filing.